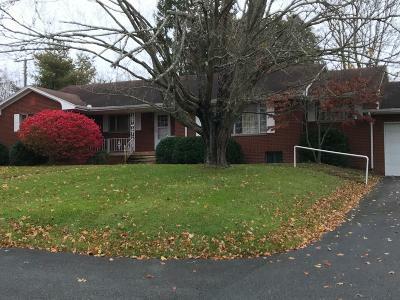 nicely built residence in Lewisburg, brick exterior. Attached Garage, back yard is very nice and private. Needs some tender care but much to take advantage of as a residence. Paved drive with a design for turning convenience add'l pave. Basement is spacious, shower bath there, access to garage from basement. Windows are attractive, allowing full sunshine entry. extra room for office,exercise room or your choice.